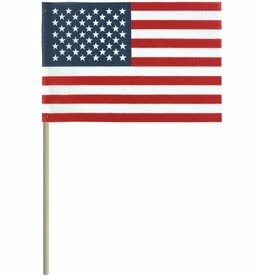 Size: * 4x6" 8x12" 12x18"
Most economical option for mounted United States Flags. The no-fray material requires no hemming. 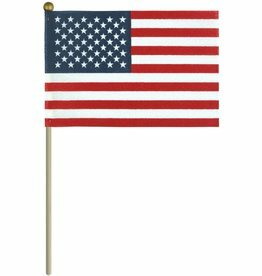 All flags have a gold spear topper and mounted to natural color wooden staff. 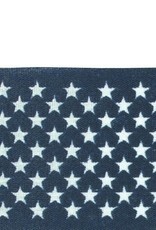 All made in The United States. 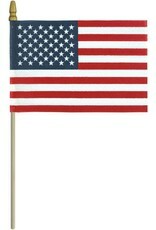 No Fray United States Flag mounted on wooden stick and with gold ball topper. Available in 4x6", 6x9", 8x12" and 12x18". Made in the United States. 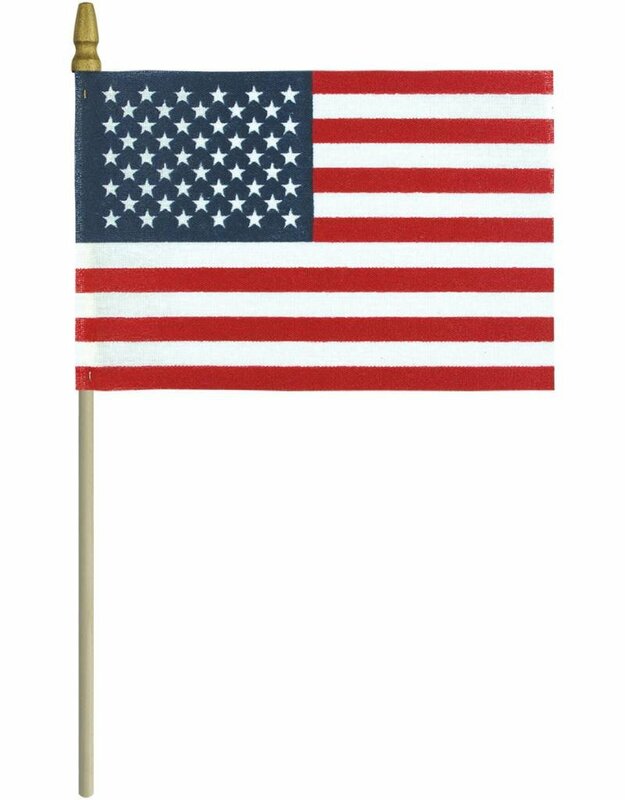 No Fray United States Flag mounted on wooden stick. Available in 4x6", 6x9", 8x12" and 12x18". Made in the United States. 100% fine grad polyester perfect for displaying in the classroom. 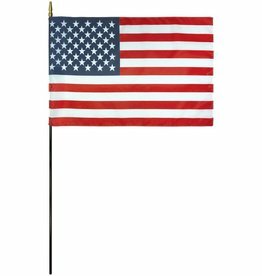 Comes in 4x6" up to 24x36" size flags and made within the United States. 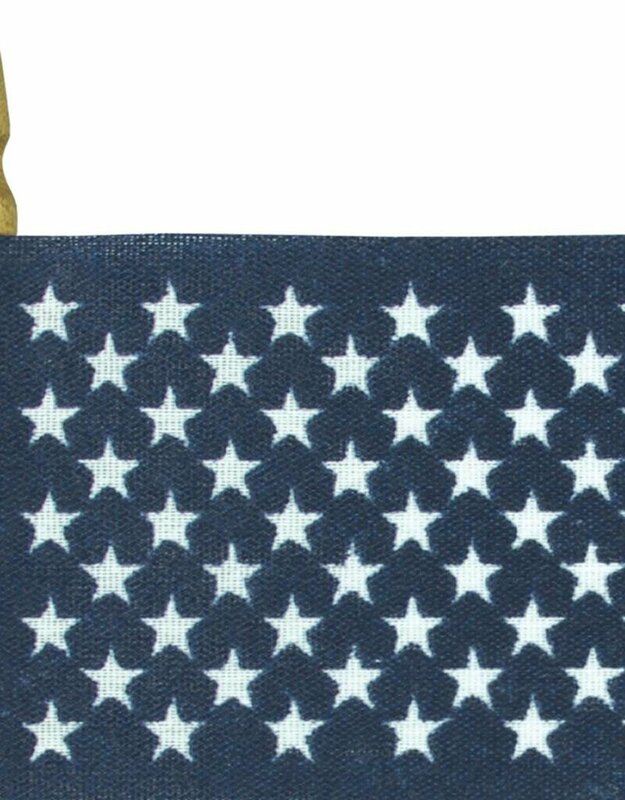 USA printed on Endura-Gloss which is mounted on a stick with gold spear tip. 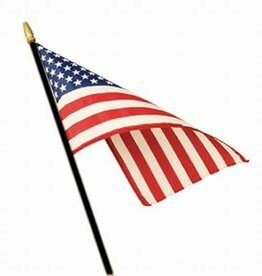 Flags are made within the United States.